Dining furniture sets help make your garden or patio comfortable for eating and relaxing. A dining table is one of the key elements in the design of a garden and should fit the atmosphere of your outdoor living space. If you have a house or a villa in Dubai and want to equip your garden, you shouldn’t ignore the weather conditions of the Middle East and Dubai in particular. High temperatures and humidity can quickly damage outdoor dining furniture, so it’s important to make sure that the material of your outdoor furniture set won’t weather easily. 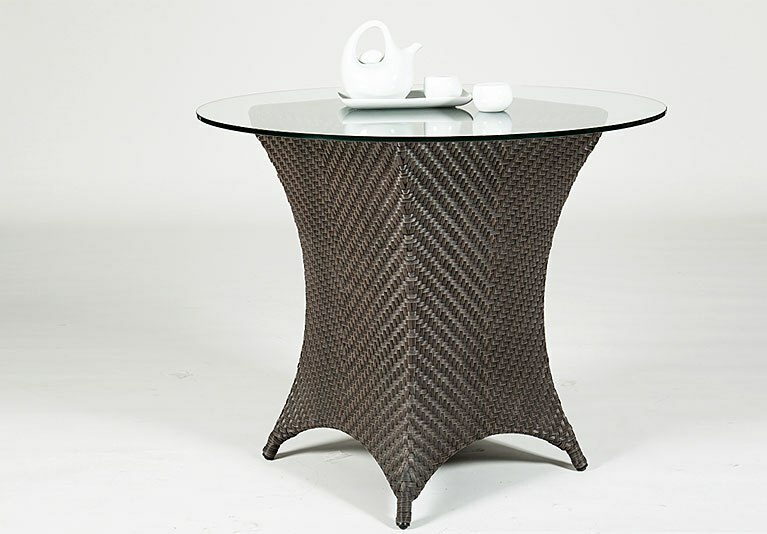 One of the best options in Dubai is to buy an outdoor furniture dining set made of rattan or teak. These materials are perfect for this climate as they are highly resistant to the heat of the sun. Rattan outdoor dining furniture has become popular in hot countries thanks to its amazing properties and lasting durability. Parasol Garden Furniture stocks the best and most suitable outside furniture sets for gardens and patios. Our furniture is totally appropriate for the climate of the UAE – comfortable, durable and stylish. To keep it at its best, we offer a furniture care service also. We have dining tables and chairs of different sizes, and many patio-dining sets. Pay a visit to our showroom located in the centre of Dubai and choose your perfect outdoor dining furniture or ask our team to help you – you can have professional advice concerning everything related to furniture in our showroom. Our company has been in the furniture market of Dubai since 2006 and we have developed some outstanding services for our clients. We offer furniture treatment and try out service. The furniture care service helps to maintain furniture sets in good condition for a longer time while the try out service helps our clients to take the right decision about their prospective purchase. We offer warranties for our products which already should last at least 5 years. Also we provide customized covers for the furniture which helps to protect it from the heat and humidity of the local climate.